In the spring of 1942, Norman Rockwell was working on a piece commissioned by the Ordnance Department of the US Army, a painting of a machine gunner in need of ammunition. 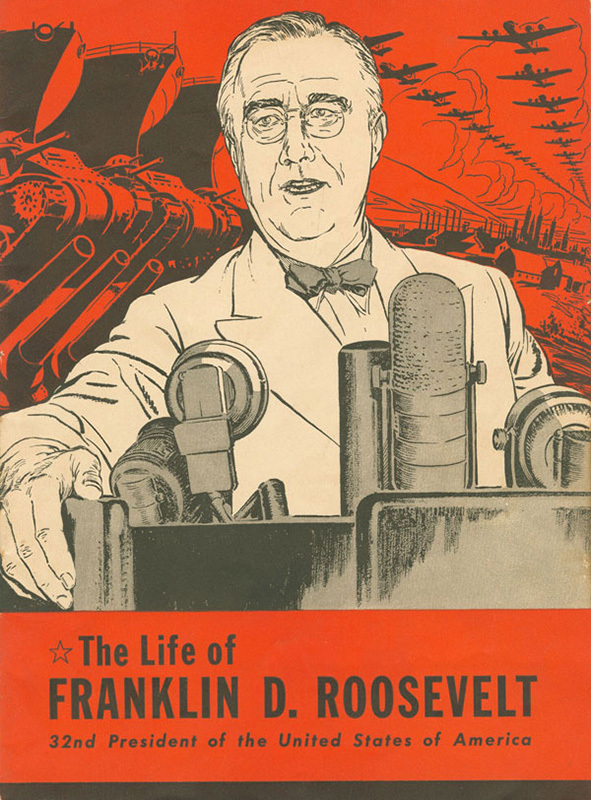 Posters featuring Let’s Give Him Enough and On Time were distributed to munitions factories throughout the country to encourage production. But Rockwell wanted to do more for the war effort and determined to illustrate Roosevelt’s Four Freedoms. Finding new ideas for paintings never came easily, but this was a greater challenge. While considering his options, Rockwell by chance attended a town meeting where a Vermont neighbor was met with respect when he rose among his neighbors to voice an unpopular view. That night he awoke with the realization that he could best paint the Four Freedoms from the perspective of his own experiences, using everyday scenes as his guide. Rockwell made some sketches and, accompanied by fellow Saturday Evening Post artist Mead Schaeffer, went to Washington to propose his ideas. As was his complex, customary process, the artist’s thumbnail drawings and large scale charcoal sketches, no longer extant, were followed by preliminary color studies in oil before he finished his paintings seven months later. Freedom from Want and Freedom from Fear were clearly conceptualized in his mind from the start, but Freedom of Speech and Freedom of Worship presented greater challenges. 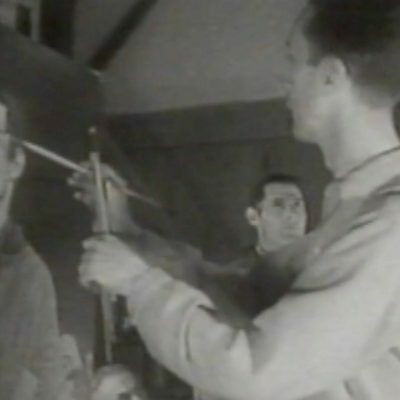 For each painting, he carefully choreographed the expressions and poses of each of his chosen models, and worked closely with his studio assistant Gene Pelham to photograph them for future reference. Freedom of Worship was initially set in a barber shop with people of different faiths and races chatting amiably and waiting their turn, a notion that Rockwell ultimately rejected as stereotypical. For Freedom of Speech, he experimented with several different vantage points, including two that engulfed the speaker in the crowd. In the final work, the speaker stands heads and shoulders above the observers, the clear center of attention. In April 1943, one month after their appearance in the Saturday Evening Post, Rockwell’s original paintings began a sixteen-city Four Freedoms War Bond Show tour to publicize the Second War Loan Drive. 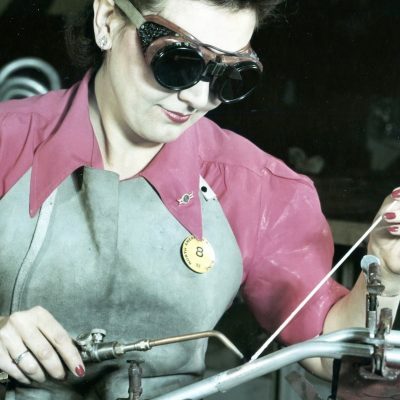 The U.S. Treasury Department, realizing their potential to generate revenue through the sale of war bonds and to boost public morale, partnered with the Post to sponsor the tour. This video is a production of Norman Rockwell Museum. © 2018 Norman Rockwell Museum. All Rights Reserved. 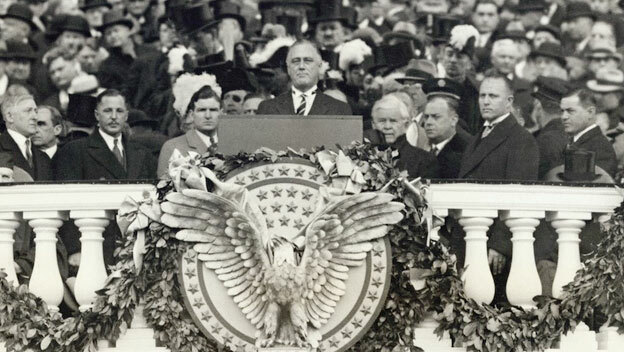 Although the nation was not yet at war in January 1941, President Franklin D. Roosevelt used his annual message to Congress to proclaim the Four Freedoms as a de facto war standard to one and all. Building on his reflections into the nature of freedom in the months beforehand, he enumerated for his audience each of the freedoms, stressing that they were not just a national ideal, but one that was needed “everywhere in the world.” Seven months later, in a secret meeting with Winston Churchill at sea, the two leaders signed the Atlantic Charter, whose principals built on the Four Freedoms and gave the president’s notion even more publicity. 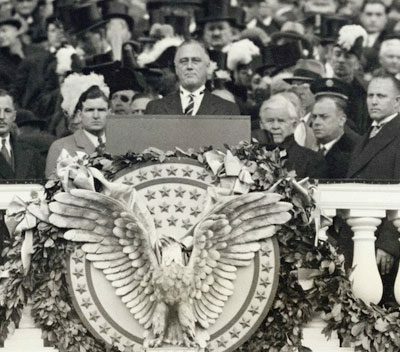 Despite these highly public moments, however, the concept of the Four Freedoms failed to resonate on Capitol Hill, in journalistic reports, or even with the American public. It was not until Norman Rockwell painted his Four Freedoms that Americans could really understand what they were fighting for and why the Four Freedoms were so important to the country and the world. 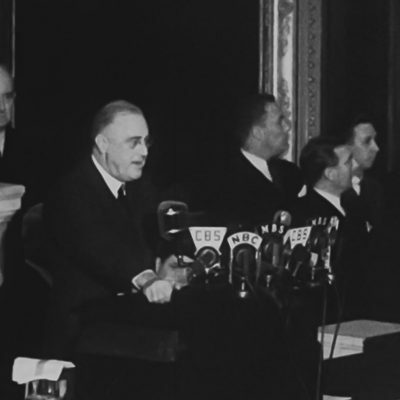 After the war, the Four Freedoms became the DNA for what would become the United Nation’s Universal Declaration of Human Rights, the blueprint for how a post war society would be envisioned. 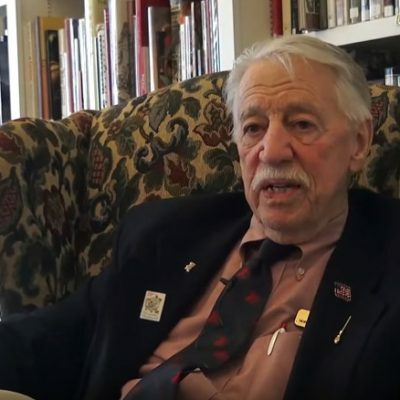 On November 17, 2015, Norman Rockwell Museum volunteer and former employee, George Church sat down to talk about his experiences listening to a live radio broadcast of President Franklin D. Roosevelt’s “Four Freedoms” speech in 1941 and paying a visit to see the “Freedom Train” in 1943 to witness Norman Rockwell’s “Four Freedom” paintings in person during a nationwide war bond effort to support the United States of America’s efforts in the war. 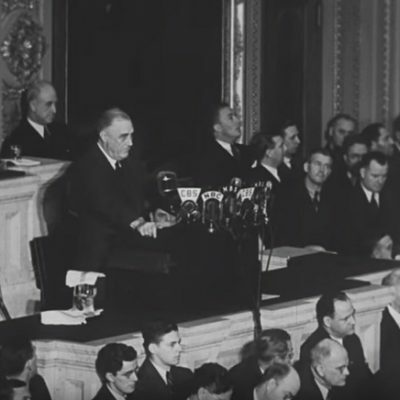 Two minute clip of Paramount newsreel footage of President Roosevelt’s 1941 Annual Message to Congress (Film ID 201-823-3-1) synced with audio from the Roosevelt Library Audio Recordings Collection (http://www.fdrlibrary.marist.edu/arch…). Film copyrighted by Sherman Grinberg Film Library (http://www.shermangrinberg.com/). 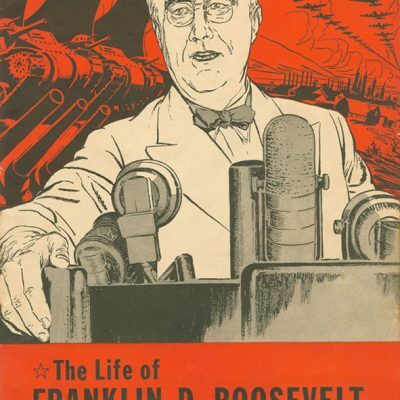 The Life of Franklin D. Roosevelt, 32nd President of the United States, 1943. Comic book. Office of War Information Publication. Collection of Norman Rockwell Museum.